Pigeon Forge & Sevierville | Cyndie Cornelius | 865-441-0045 | Great Smoky Mountain TN Real Estate for Sale,Search For Homes and Land For Sale in Sevierville, Pigeon Forge, Gatlinburg , Wears Valley and Townsend. WHY THE SMOKIES? 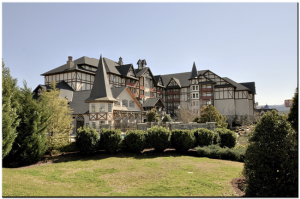 "Your Mountain Real Estate Professionals"
If activity is your thing, then Pigeon Forge, Sevierville is your place! With very few exceptions, both towns – which run together – are bustling every day of the year. From shopping in the literally hundreds of shops along the Parkway, on up into Sevierville and the Tanger Outlet Mall, to the car shows that line the streets, the Titanic Museum, to the many amusement centers that look more like the beach than the mountains, there is always a lot going on. There are shows of all types: comedy, musical, acrobatic performance, historical (the Titanic has been recreated and is a world famous attraction). Probably the most famous of all the Pigeon Forge attractions are Dollywood and Splash Country, Dolly Parton’s enormous entertainment parks. If you’re very lucky, you may even be able to enjoy a performance by Dolly herself. Smoky Mountain living is available in many different areas around Pigeon Forge and Sevierville. From condos to mansions, you’ll find whatever you’re looking for in all price ranges. Pigeon Forge cabins, for example come in rustic, cozy and secluded features, or in grander profiles with spacious one or two story floor plans. Sevierville homes for sale showcase much the same wide variety and level of quality. Whatever you’re looking for in mountain living from condos and cozy Sevierville cabins and Pigeon Forge cabins, to luxurious homes for sale in these charming, vibrant towns, expect to find lots of pleasant surprises. 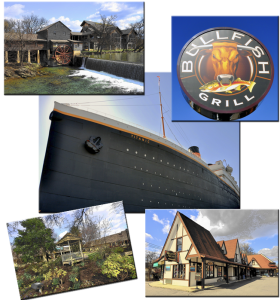 Expect to find an exclusive niche to suit your fancy in the Smokies at Pigeon Forge or Sevierville TN. If you like bustling vibrancy wrapped in small town charm, then Pigeon Forge, or Sevierville is the place for you. Find out more about Smoky Mountain cabins, including Pigeon Forge, Sevierville cabins and homes for sale with my website resources. If you have a question, call or email me.